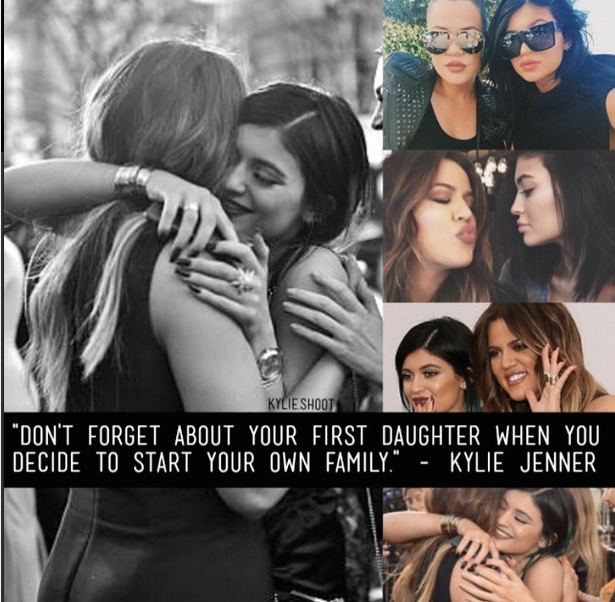 17-year-old Kylie Jenner fails to wish her mother Kris Jenner Happy Mother's Day choosing to honor sister Khloe Kardashian instead. Kylie Jenner took this Mother's Day to thank the woman who apparently raised her and has always been a mother to her: Khloe Kardashian. The youngest "Keeping Up with the Kardashians" star posted a photo collage on her Instagram with a sweet message, but one person was missing note: her actual mother, Kris Jenner. "Thank you for being you & being another mother figure to me my whole life and doing the same for our nieces and nephews," she captioned the photo of her and Khloe. "Whoever, one day, gets to have you for a mom will be the luckiest in the world." The pic also included the quote, "Don't forget about your first daughter when you decide to start your own family." This isn't the first time the 17-year-old star has thrown jabs at her mother, Kris. "Khloe is more of a mom to me than my mom is sometimes," she told UK's Grazia magazine. "My mom is all about being friends."